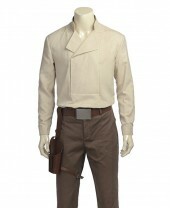 So say hello to the Empire Strikes Back Han Solo Jacket worn while playing the iconic character in the 1980 sequel. 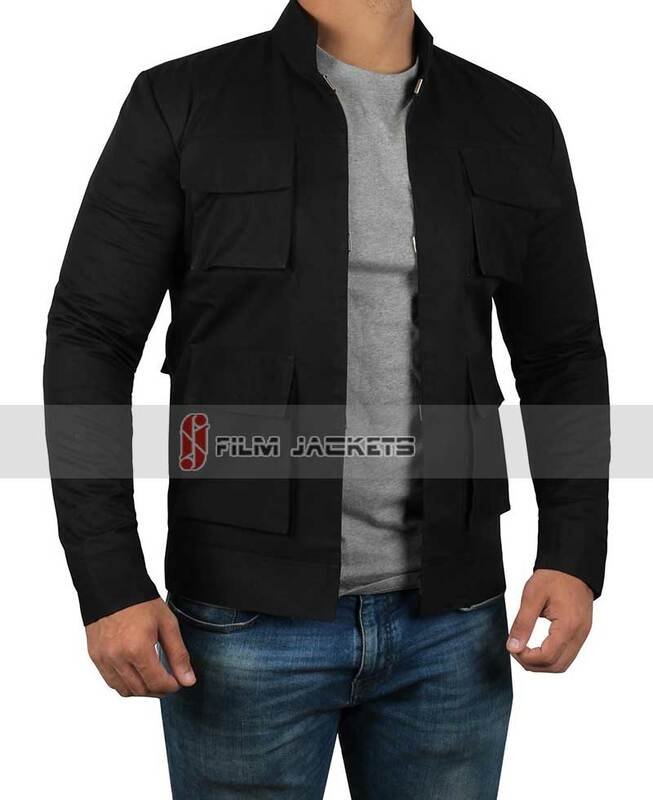 The Han Solo Star Wars Empire Strikes Back Jacket is made of cotton fabric while viscose is stitched inside to make it soft and cozy. There are two inner pockets and five outside pockets, including one on the sleeve. It's a style that'll last years to come and guarantees to keep you fit. The jacket is solid! It is lined with pockets inside as well as outside. High quality item, totally recommend it. Shipping was crazy fast! The jacket is an amazing replica. It wears well and blends in without being gawdy, or an obvious movie reference. One super fan recognized it instantly. Love it!! This is my 3rd FJ purchase. Not only is Empire Strikes Back the best Star Wars, but Han's jacket is pretty slick. This one is comfortable and loaded with pockets. 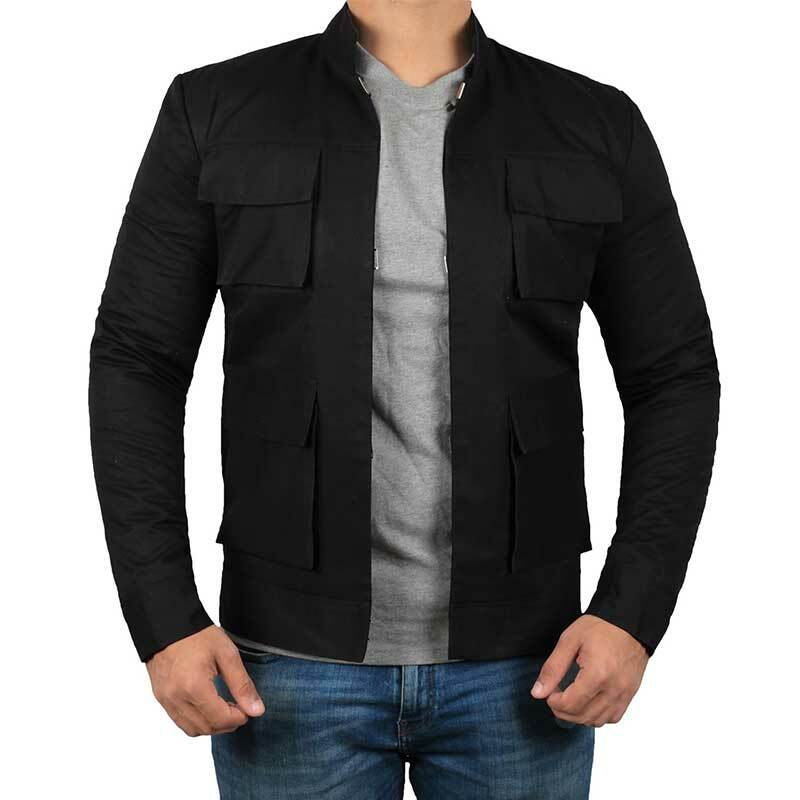 Perfect light weight, Spring time jacket. 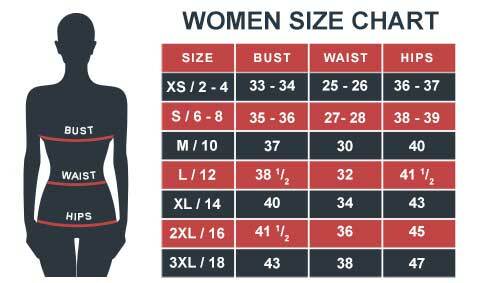 The FJackets team was very helpful with questions in advance regarding the right size selection. The item was delivered after the order quickly and without problems in the specified period. The jacket was in perfect condition on delivery. It fits and just looks great. I am totally thrilled and will gladly carry it at every opportunity. Many thanks for the great product. jacket is just as I imagined! I was expecting this to be thin but it's very well made and warm. I can easily see wearing this in the Spring or Fall. I received many compliments on it and the pockets are well made and functional. 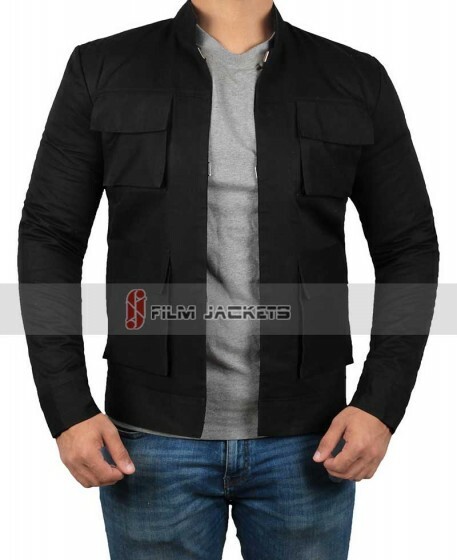 I'll definitely recommend this company to anyone looking for jacket reproductions. I’ll be honest, I was a little anxious buying from this site as I didn’t know it and the prices seemed too good to be true. However, the quality of the product for the price is AMAZING. Love it, love it, love it. Looking to see what other ones I want now. Ordered as a Christmas gift and brought the biggest smile! Jacket fits nicely. Before I say anything else, this has become my favorite jacket. I absolutely love it. This company has taken a piece originally intended as on-set wardrobe and re-engineered it into a functional garment for everyday wear. It's very warm, *all* the pockets actually work, and these folks have come up with an ingenious method for it to close, which the original wardrobe piece was never intended to do (word has it George Lucas didn't believe zippers or buttons should be visible; too mundane, apparently...) All these are an accomplishment worthy of recognition. All that said, I think the claim that this piece is "100% screen accurate" is somewhat misleading. 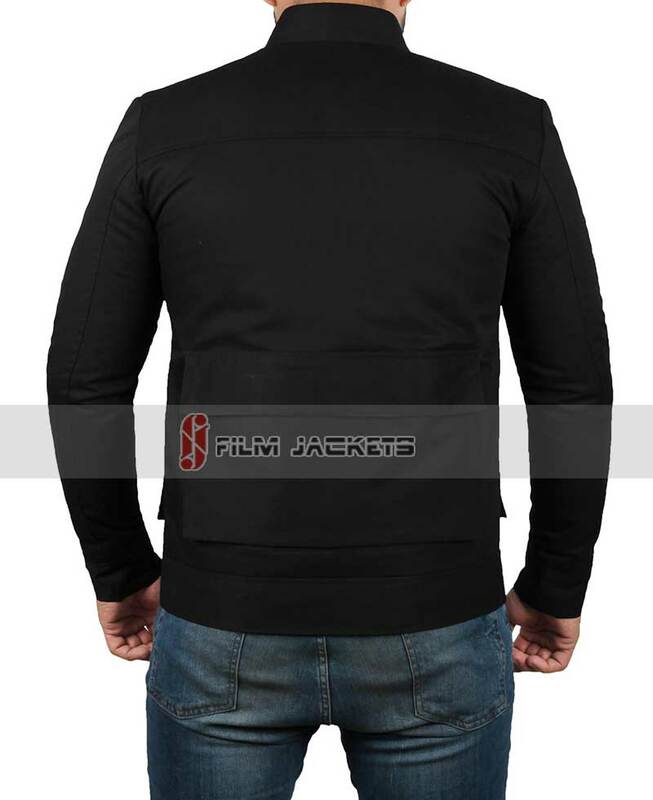 The jacket is black with a black interior, and while the jacket appears black on screen in some shots, it appears dark blue-gray in others. The original wardrobe piece was a dark blue-gray, with a light-brown viscose interior. Photos of the item from its recent auction will confirm this. Secondly, the hook/eye closures are very visible. As I stated previously, I like the fact that it closes, and I like the solution these guys came up with; however, the highly visible closures do detract from the "100% screen accurate" claim. If you're a stickler for detail (as Star Wars fans notoriously are) these minor differences may stick in your craw. They don't stick in *my* personal craw, however, so I rate this as a 4/5. Quality of the jacket is fantastic! And attention to detail is amazing. This jacket is exactly what i wanted. 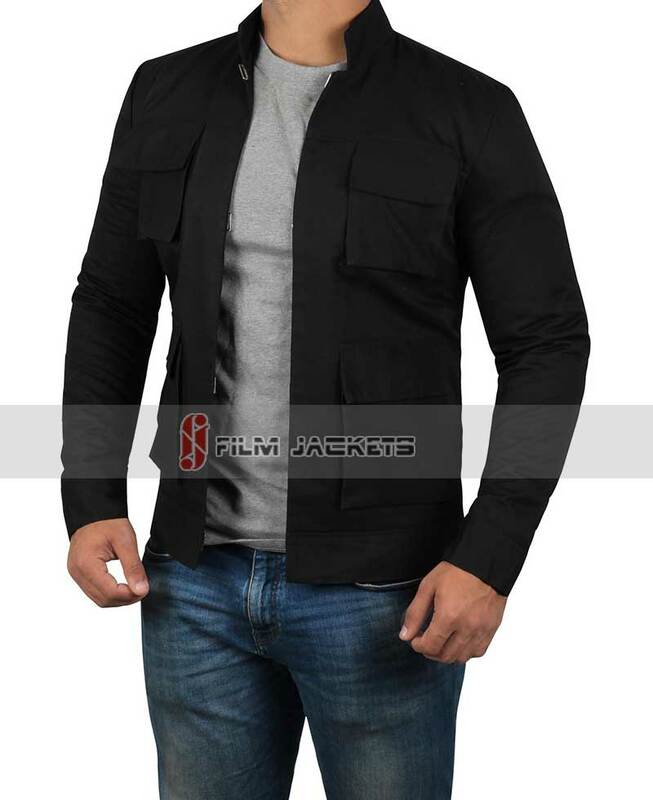 Not bulky or tight, my arms goes smoothly inside and the material is not so heavy either. Color is a bit dark, otherwise, it's perfect for my body type. Nice Jacket, Already got three compliments. After much back and forth between the staff and me, I got this great jacket. Pockets are awesome, and it feels authentic. I'm 5'10, 178 lbs so I ordered a XS. (At first buying the M jacket, but it was too big). Anyways, the staff are awesome, they try to reply as soon as possible and are very helpful. 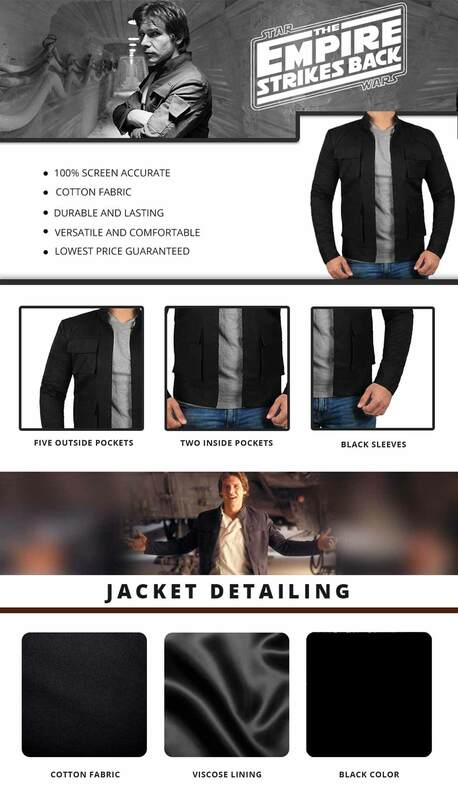 If you want to feel like OG Solo from Empire Strikes Back, get this jacket.